The Mopar Vehicle Protection service is a decades-old system that provides extra coverage for the owners of many types of vehicle models. 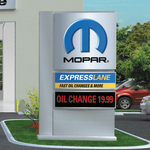 The Mopar Vehicle Protection service offers coverage and repair for thousands of distinct vehicle parts. It offers these services through two separate plans, and these include the Maximum Care plan and the Added Care Plus plan. All of the parts offered through these programs are rigorously tested to the highest standards. Mopar Vehicle Protection system parts are engineered to stricter standards than aftermarket parts. They use proprietary information to create components that are custom built to fit specific vehicle types. In addition, many of these parts are put through significant testing regimes. For example, many vital parts are put through temperature testing that applies extreme heat or cold to ascertain structural integrity. Another test involves the use of x-rays to scan materials at very tight tolerances in order to discover any imperfections. Yet another level of testing puts vehicle parts through crash tests, the information from which can greatly boost safety levels.